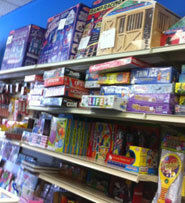 We carry many unique toys, games and puzzles, including a full line of Melissa & Doug Wooden Toys & Puzzles. 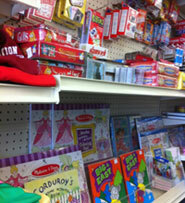 We also carry Ty, as well as a large selection of puzzles, books and games. From puzzles to puppets, plush to play food, magnetic activities, music, magic and more, Melissa & Doug® has grown to be one of the leading designers and manufacturers of educational toys and children's products. Copyright © Corner Drug. All Rights Reserved. Powered by Sygnifi Networks.